MoviePass failed me last night—and now I know why. I arrived at Brooklyn’s Court Street movie theater the requisite 30 minutes early and made sure the app KNEW I was within 100 yards (91.44 meters) of the theater. 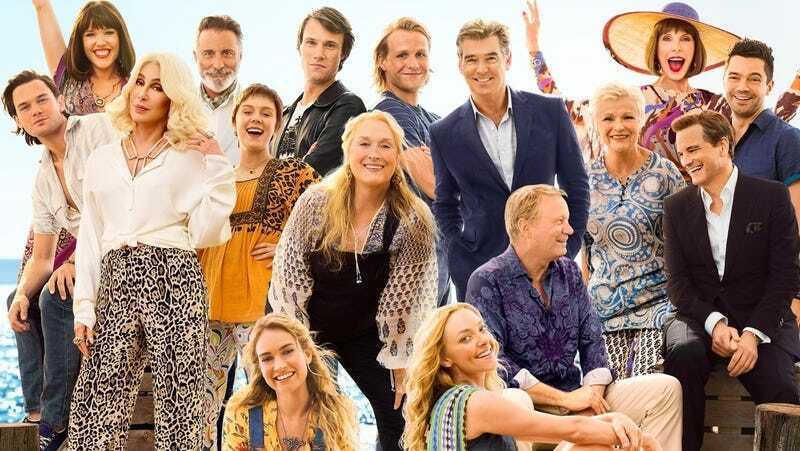 But even after trying to troubleshoot the app itself, I had to fork over $16 to attend the 7:10 PM showing of Mamma Mia! Here We Go Again. As you can see by the timestamp on the tweet, MoviePass announced this service interruption at 8:44 PM EST, just over two hours after I bit the bullet and purchased my movie ticket like a real human person who doesn’t need a subscription service in order to go to the movies. After thinking for approximately 0.1 seconds that, hey, maybe I didn’t need to drop 16 (sixteen) American dollars on what has been described by Splinter as both “the most important film of the Trump Era” and “obviously ... not Good,” I did what I came to the movie theater to do and saw the movie. This brings the amount of money I’ve spent directly on individual movies since joining the service from $0 to $16, which really blows considering I could have gone to my Medieval-themed hometown movie theater and spent $4 less. The service interruption comes the same week the CEO of MoviePass’ parent company, Helios and Matheson, hinted at introducing a Rotten Tomatoes-style ratings system in order to further ~shake up~ the movie industry. So, if that happens, we’ll see how that helps its financials. The company’s service has suddenly stopped working before, and last time it even promised refunds. That said, I’m looking forward to hopefully seeing Mamma Mia! Here We Go Again at least one more time, ideally using MoviePass unless it, you know, needs another $5 million by Sunday. We’ve reached out to MoviePass for comment and will update when we hear back.